Compos. – When selected, one composite will be created from the selected entities. The composite will be tagged with the object properties. Set All – When selected, one composite will be created for each entity with the same name and object properties tagged to them. For example, if 10 objects represent the same component, you will be able to assign the same name and properties to all of them, while they remain identified as separate objects. The Bill of Material function will recognize them, still, as 10 objects of the same type (name). Select Make with Object Properties from the Tools>Composite submenu. 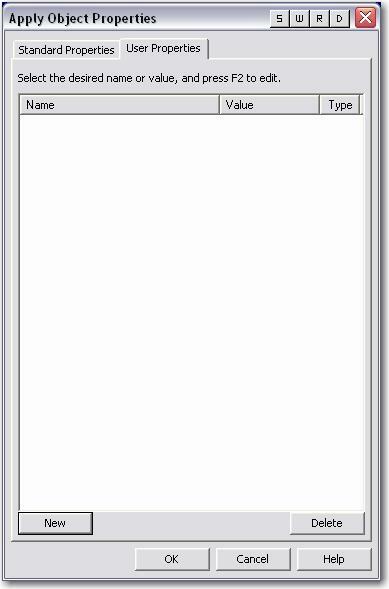 The Apply Object Properties dialog appears. Configure the settings available from the Standard and User Properties dialog pages, and click OK. Select the entities to which the object properties set in the dialog will be tagged (assigned). 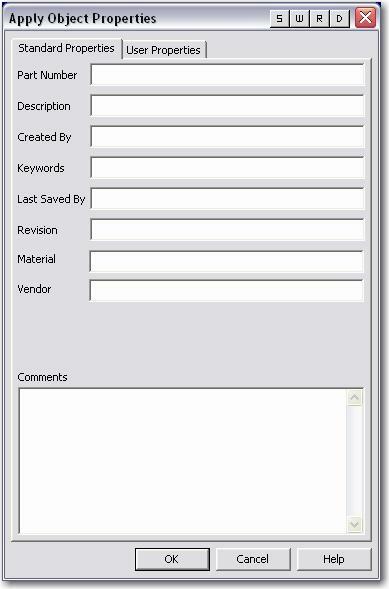 If multiple entities are selected, choose the Single or Multiple action method. Only the content can be modified. Both the name and value can be changed for each property.